August is our new favorite month! Are you ready for a sneaker sale of EPIC proportions? PONY gives you the biggest markdown this August. From the staple Shooters to the urban-inspired Feed the Cat kicks. Grab them now and get up to 40% off on the best of New York’s sneaker picks. This month’s hottest shoe sale is available in SM Department Stores and Sports Central stores nationwide. Don’t miss the chance to get the prime of street style. Get out, grab a pair and Let’s Get It On. 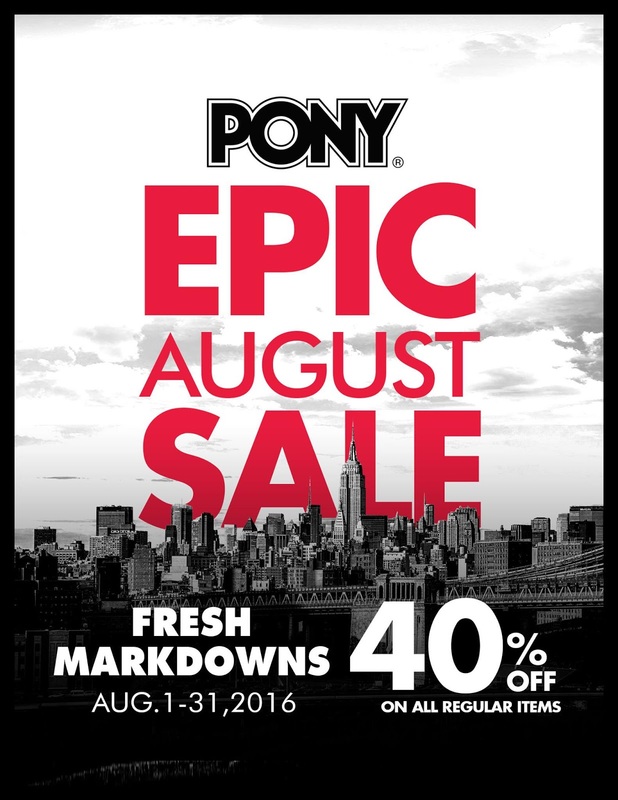 Follow us on Facebook at Pony Philippines Official and on Instagram and Twitter at Pony_Ph.